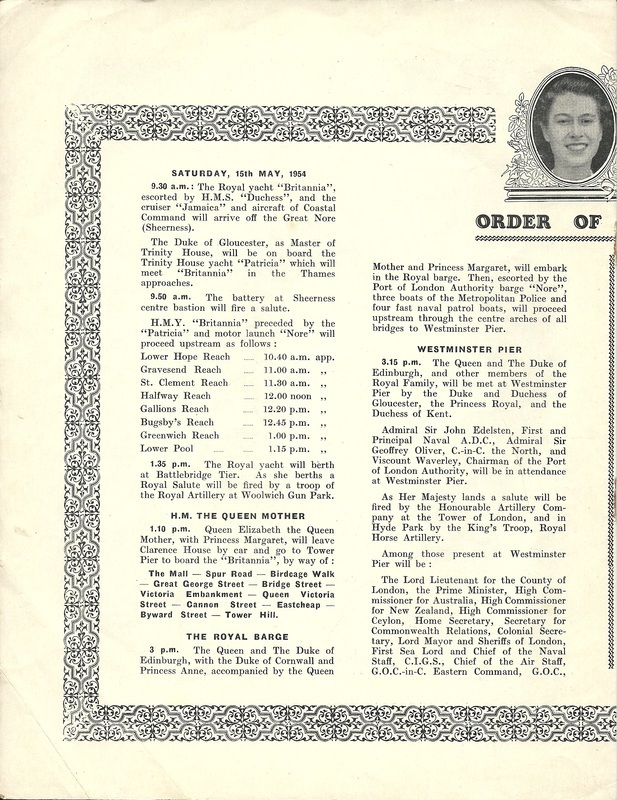 King George VI died on 6th February 1952. 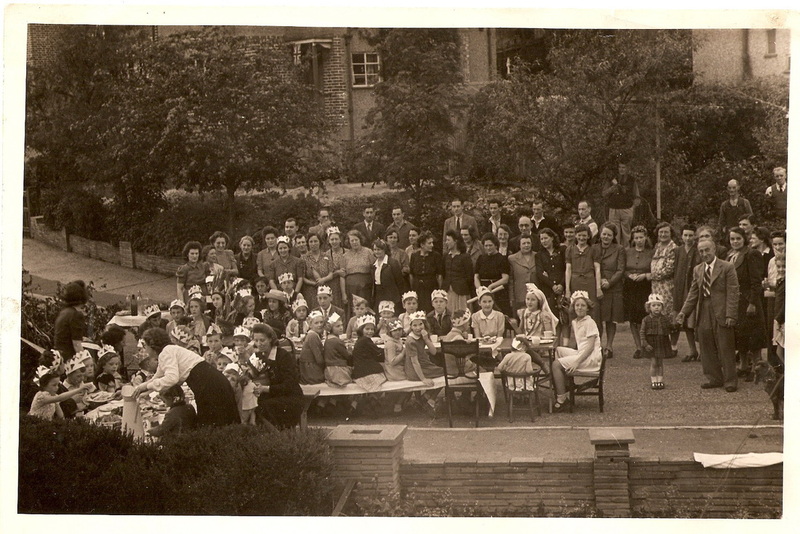 He had been ill for a long time. 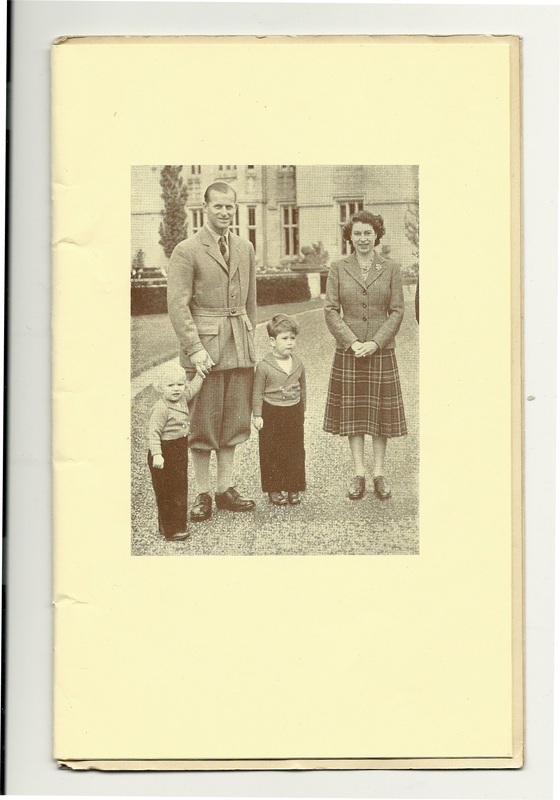 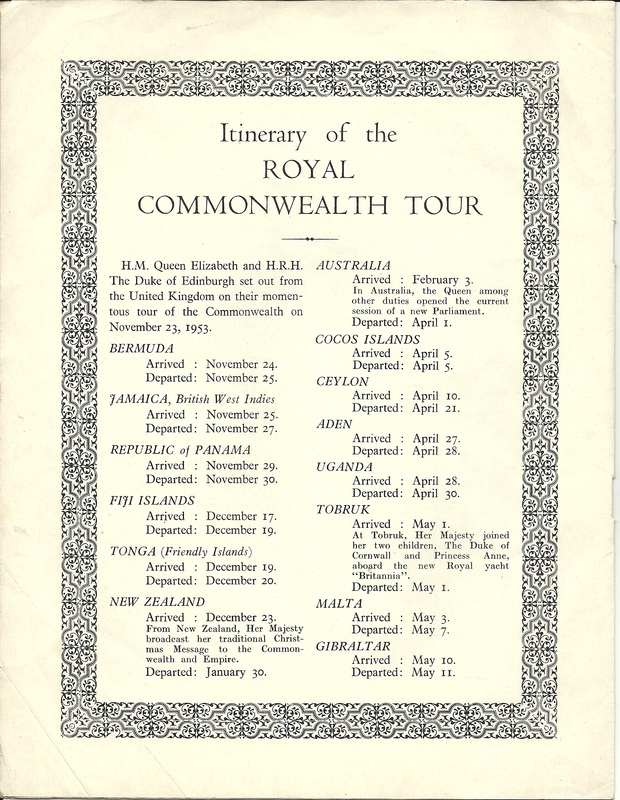 At the time of his death, Elizabeth, his elder daughter, and her husband Prince Philip were en route to Australia on an official tour on his behalf. 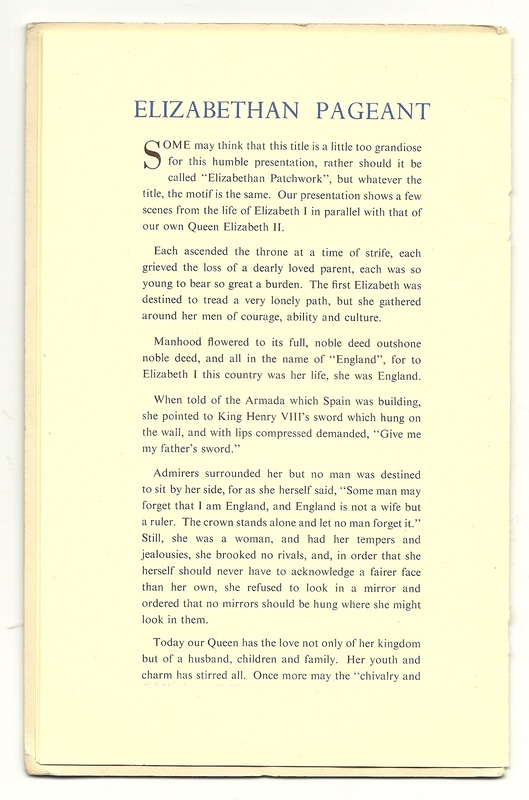 They had reached Kenya when word of her father’s death was conveyed to the Queen. 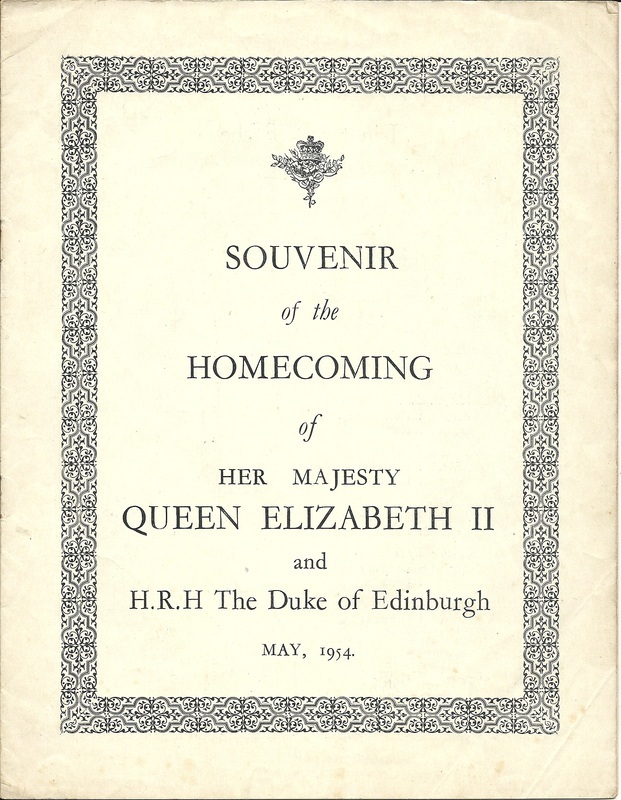 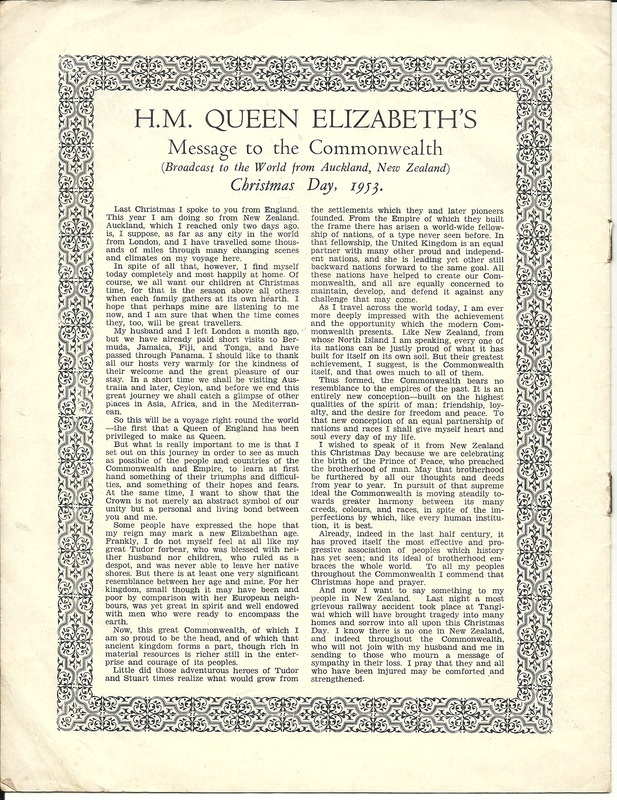 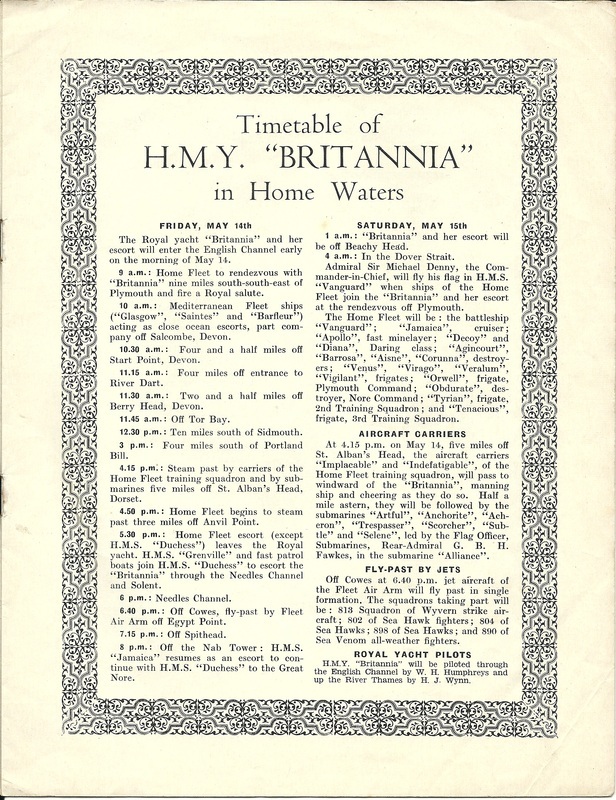 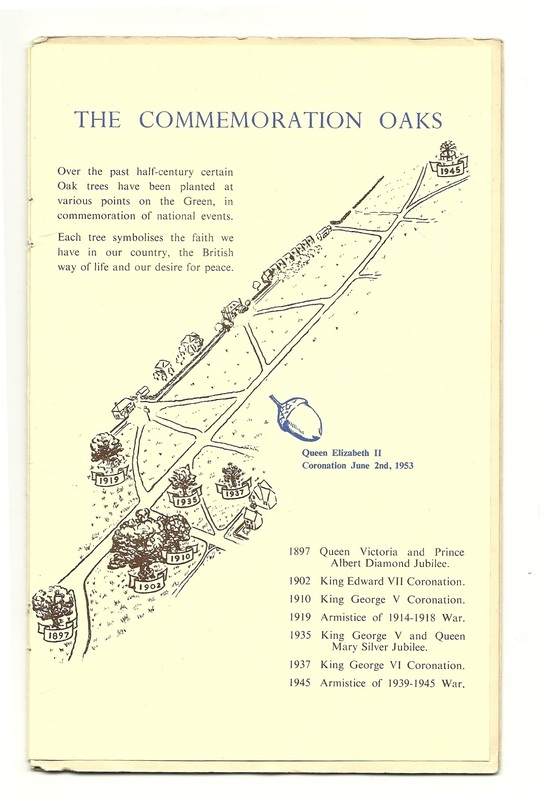 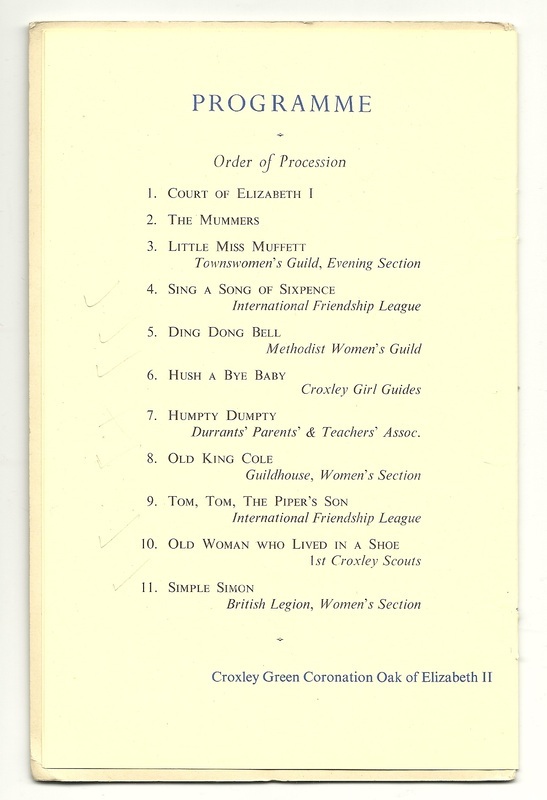 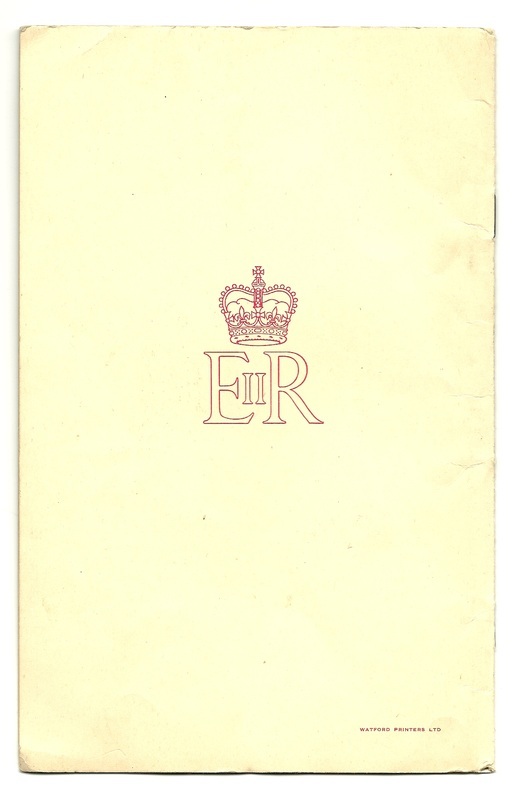 The new Queen’s coronation was arranged for June 2nd 1953. 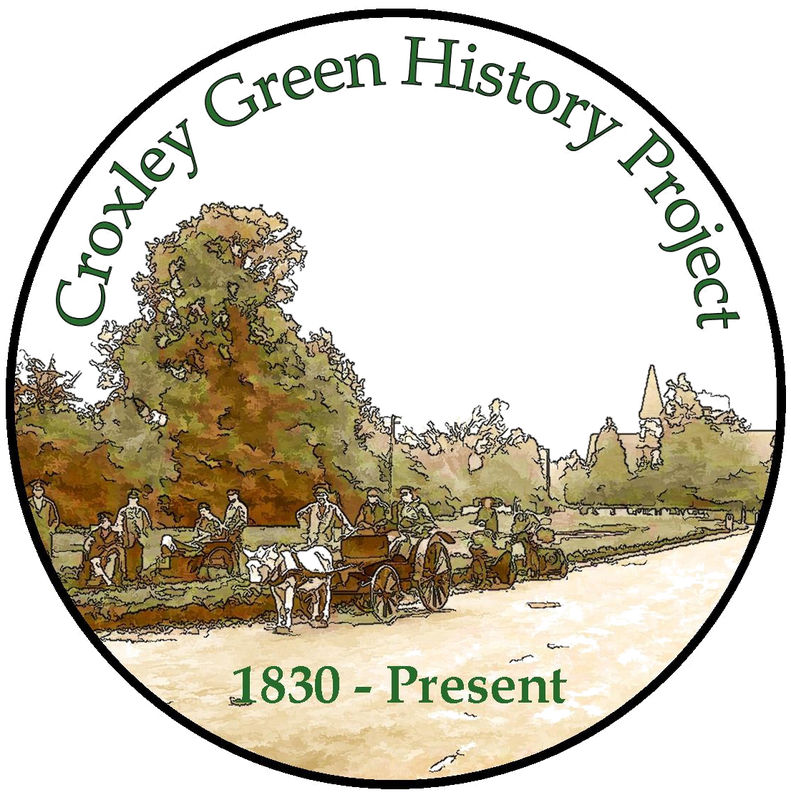 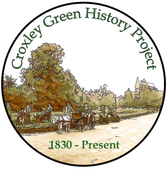 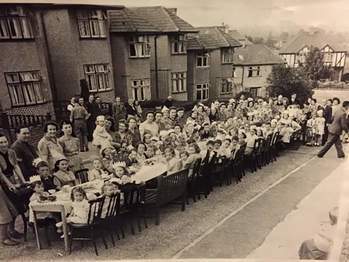 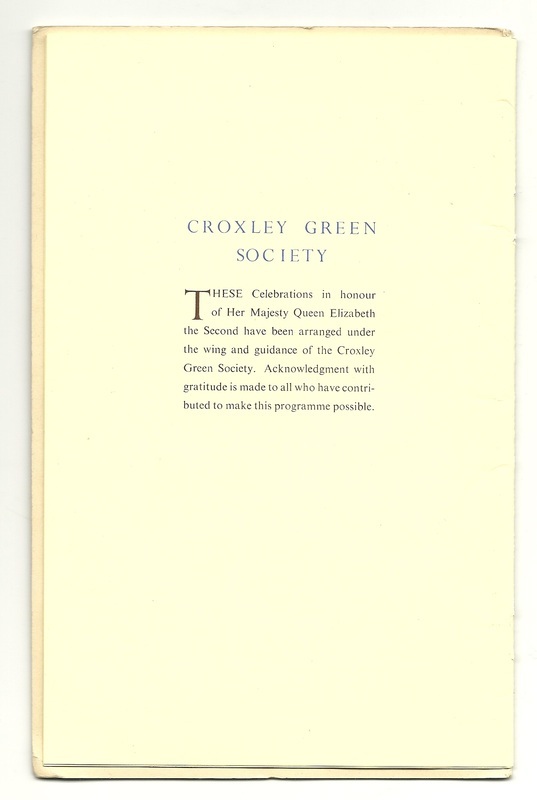 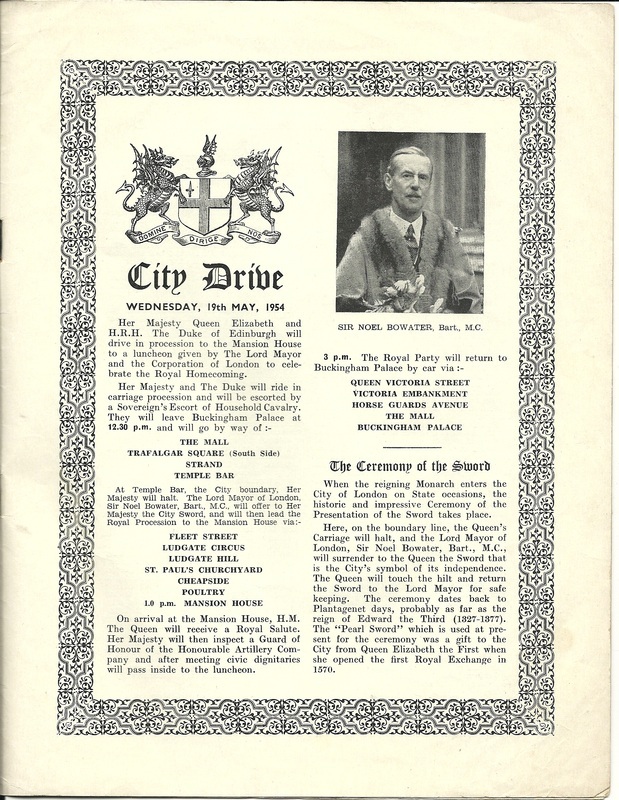 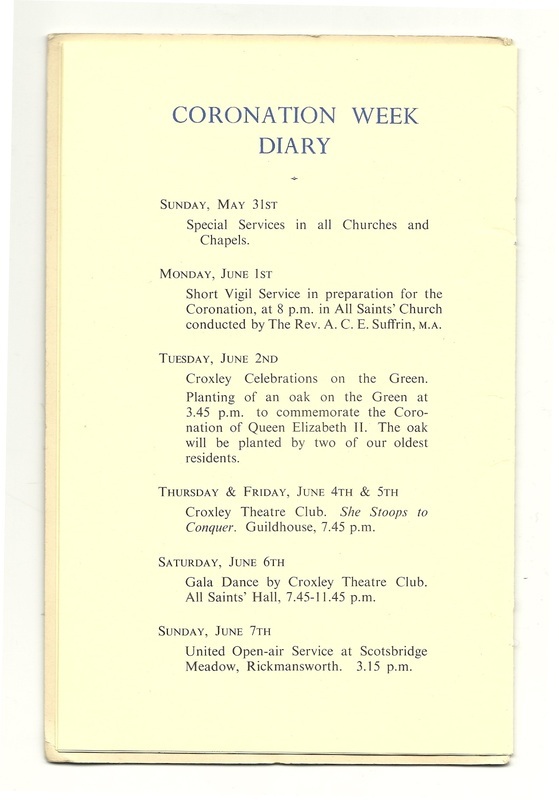 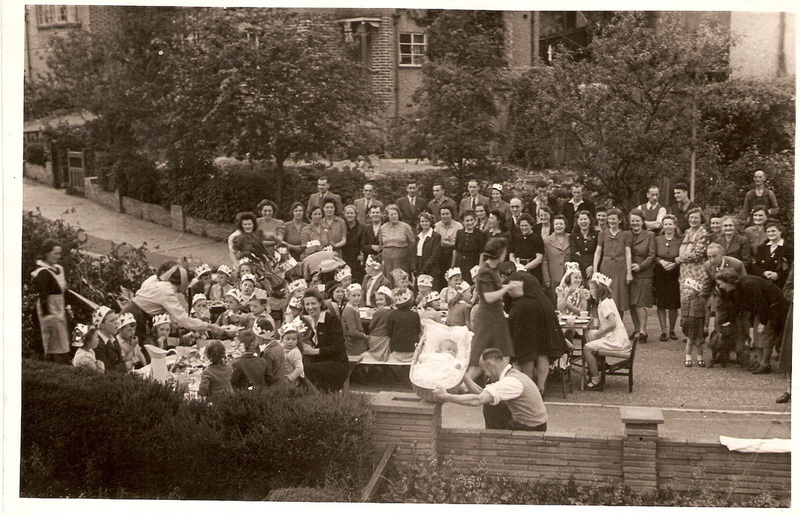 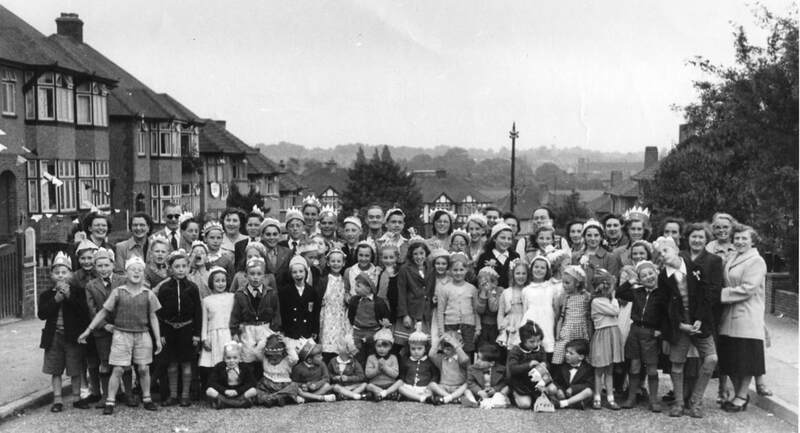 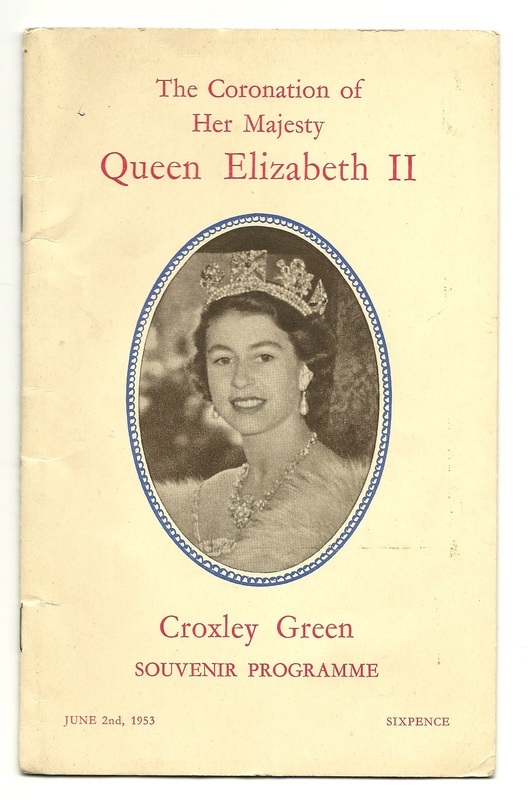 The Croxley Green Society planned a grand celebration for the same day. 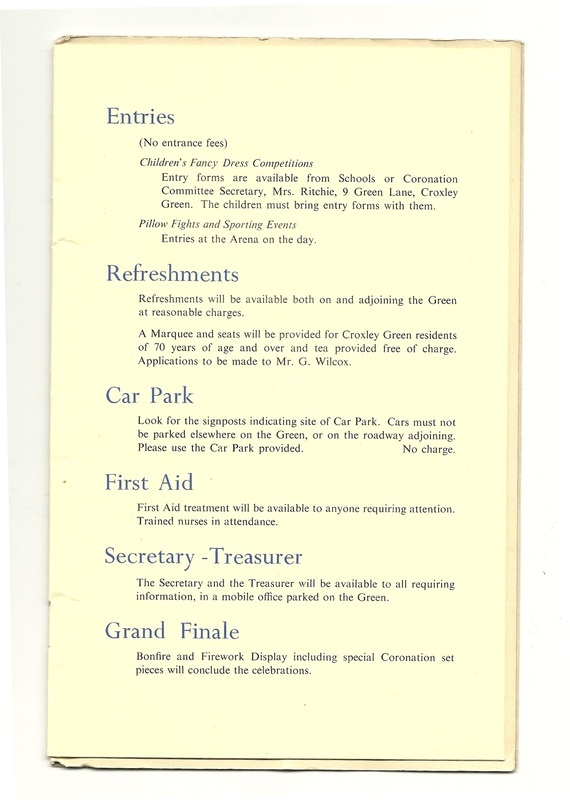 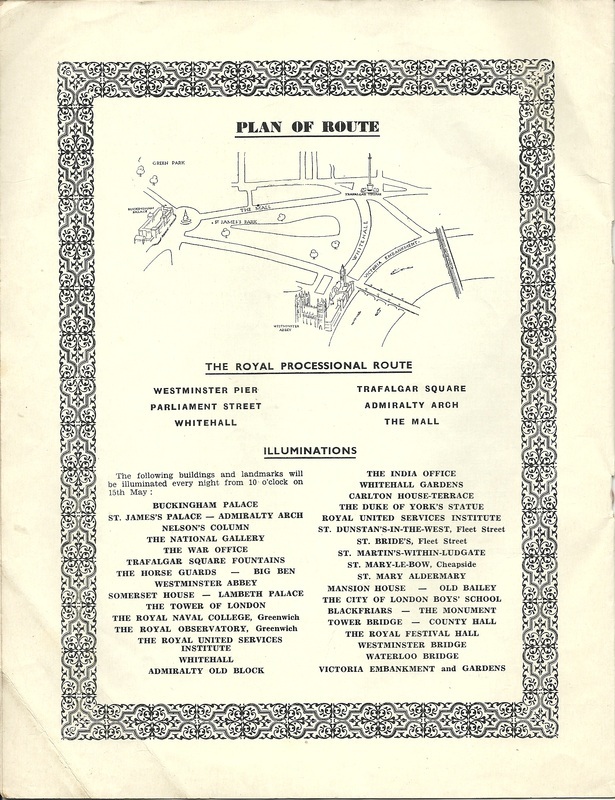 It was considered to be the best programme organised locally. Oakleigh Drive - The children are ready to enjoy the celebration tea whilst mums and dads get ready to serve them. 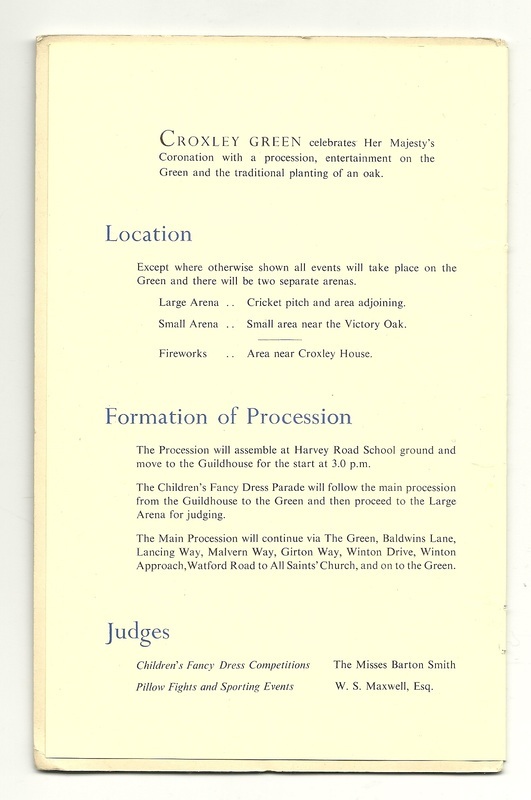 The Croxley Green Coronation Queen and her retinue followed the procession as it made its way around the village to The Green via Watford Road and New Road. 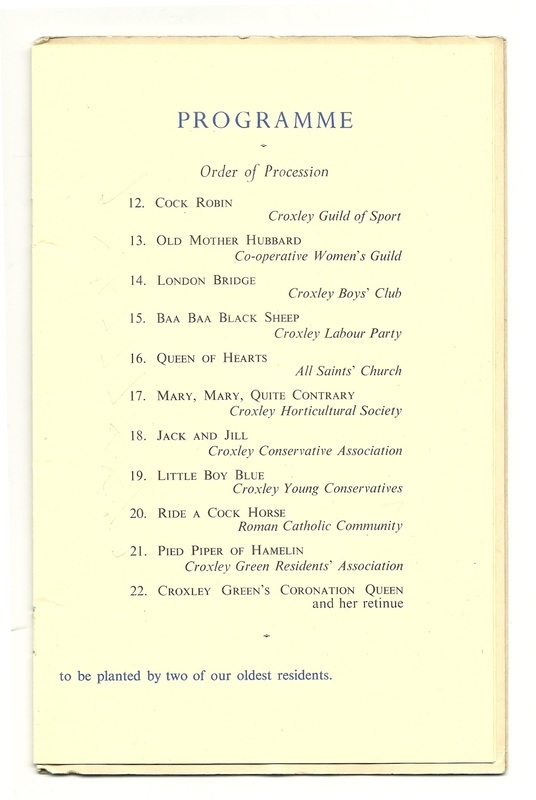 At The Green three areas provided entertainment for the assembled crowds. 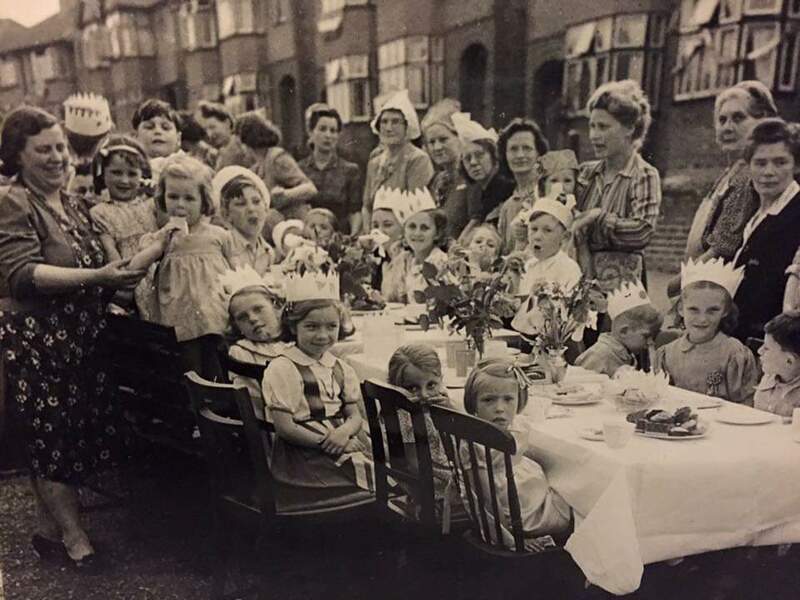 A children’s fancy dress show was judged and Nora Randall of Bateman Close was crowned as ‘Queen’. 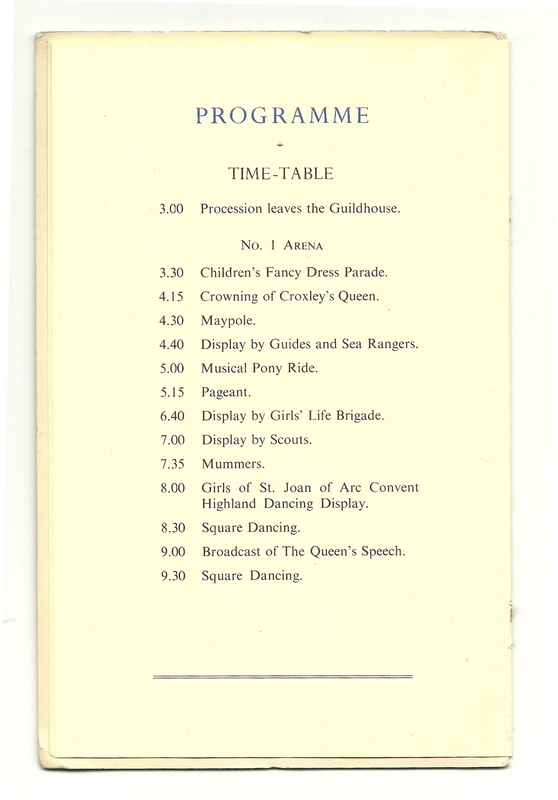 There was a display of traditional Maypole dancing and the planting of the commemorative oak sapling. 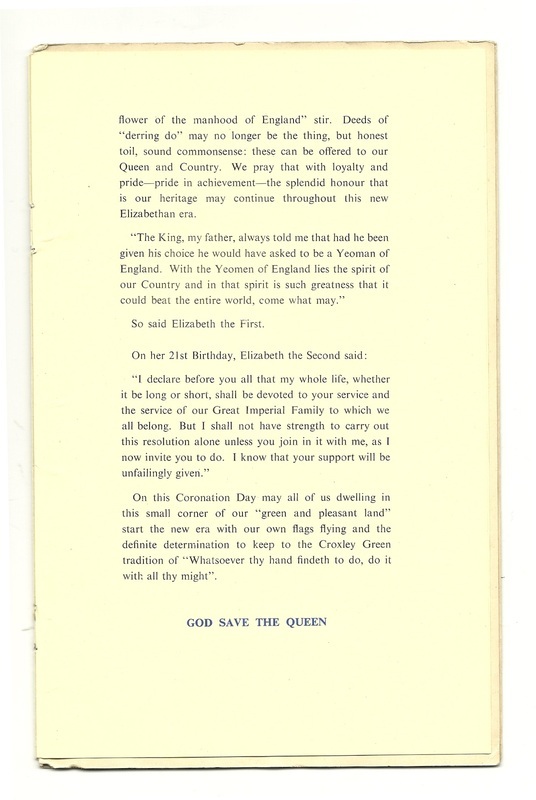 This was performed by Croxley Green’s two eldest residents, Mr& Mrs F Heckford of Dickinson Square. 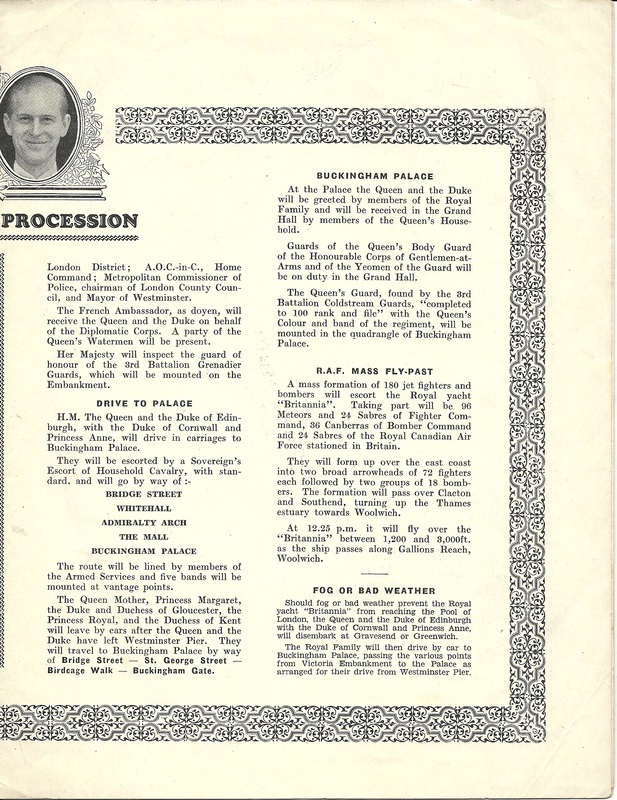 Sadly, the weather worsened and the celebrations had to be abandoned. 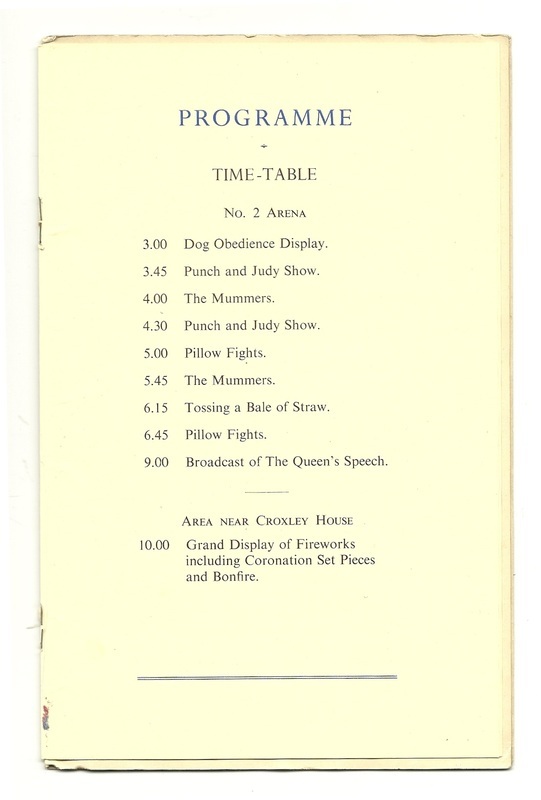 However, the weather improved sufficiently in the evening for the crowd to enjoy the firework display and the lighting of the bonfire near to Croxley House.